Quick quiz #1: Who was Jesus’ mother? Quick quiz #2: Who were Jesus’ Grandmothers? The Bible never gives the names of Mary and Joseph’s mothers, although it does tell us the names of four of the geat-great-etc.-grandmothers in Jesus’ ancestry. The inclusion of Tamar shows God redeeming her from her sexual immorality and deception in bedding her father in law Judah (although Genesis 38 clearly shows she acted morally and righteously, and that Judah is the one who was in the wrong). 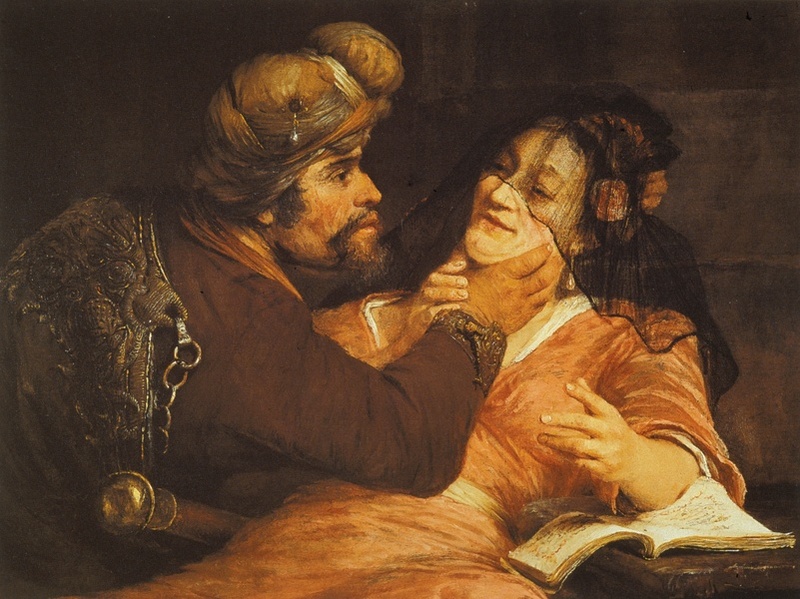 The inclusion of Rahab shows God can use even a prostitute to build his kingdom (although Joshua 2 is not clear on whether she was a prostitute or – just as likely – an innkeeper). 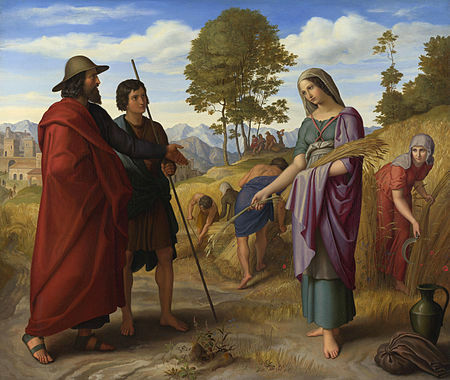 The inclusion of Ruth shows that God can use penniless widows on the extreme margins of society, honoring their faithfulness just as Ruth was faithful in caring for her equally poverty-stricken mother in law. 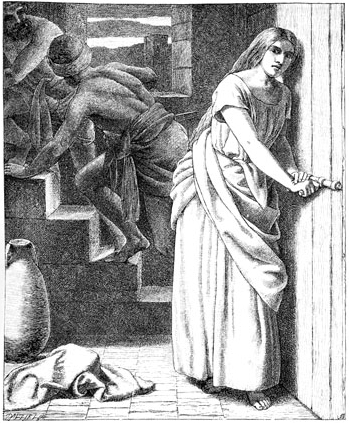 The inclusion of Bathsheba shows that God will use children of immoral relationships (although to suggest, as some do, that Bathsheba was a willing participant in an adulterous tryst denies the reality that she had no choice in the matter; her husband was away at war and the king summoned her to his bed). It is not that these four aspects are completely untrue. Rather, it is that these are superficial matters when it comes to understanding the most significant aspect of those women’s lives. The most significant aspect they shared is that they were all evil. Tamar, Rahab, Ruth and Bathsheba are not actually described as bad people anywhere in Scripture. It’s just that they all are tainted by the nation they are identified with. In that day’s culture, this taint was considered as personal as the nose on one’s face. The tainting nation is not Israel, especially not for Tamar, Rahab and Ruth. They are foreigners: Tamar and Rahab were Canaanites, and Ruth is a Moabite. As for Bathsheba, her nationality of birth is not mentioned but she married a Hittite and by virtue of that marriage took on her husband’s identity. Each of those nations – Canaan, Moab and Hatti (the homeland of the Hittites) – was abhorrent to God’s people and that abhorrence extended to each person of the abhorred nation. To understand fully, look at the circumstances God’s people faced when he brought them out of Egypt to the land that would become Israel’s home, a territory already occupied by other nations. Notice that one addition to the list in that last passage is Moab, a nation subject to a special prohibition. Tamar’s marriage into the nation of Israel was not explicitly prohibited at that time, since she lived centuries before God brought his people out of Egypt. But her people had the same detestable practices as later Canaanites. Ruth and Bathsheba certainly lived in the time of prohibition for marriage between Israelites and Canaanites or Hittites. None of them – Tamar, Rahab, Ruth and Bathsheba – should have been allowed to marry as they did, yet they each had marriages that led eventually to the birth of the Messiah, the hope of Israel. Don’t marry Canaanites; don’t marry Hittites. Wipe them from the face of the earth! Don’t let Moabites anywhere near God’s assembly. Don’t let their children near, don’t let their grandchildren near, and don’t let anyone else related to them near even if they are ten generations removed! and who he has always been. Tamar and Rahab and Ruth and Bathsheba are us – all of us – every woman and every man God has brought into his family. All are disqualified from entering his assembly, and yet he has qualified us through the gift of his Son. (Ephesians 3:12.) It is because of his grace in using those four women and all the women whose names are left out that we now enjoy fellowship in the Lord’s assembly, a gathering that includes those shepherds in the fields 2000 years ago. Good news and great joy. That’s what Tamar and Rahab and Ruth and Bathsheba gave us in their grandson (many times great). That’s what comes with the gracious gift of Jesus our Savior at Christmas. This entry was posted in Uncategorized and tagged Advent, Bathsheba, God's grace, Jesus' genealogy, Rahab, Ruth, Tamar. Bookmark the permalink. Hi Tim, I have no doubt that God can and does use children born from an immoral relationship, but I don’t know if David and Bathsheba’s children are good examples of this. Both Solomon (Matt. 1:6) and Nathan (Luke 3:31 cf. 1 Chron 3:5) were conceived and born when David and Bathsheba were married. I thought the same when naming her as Uriah’s wife, Marg. As for the morality of the relationship between her and David, I’ve heard pastors point it out. Perhaps they are focusing on its origins, I don’t know. I was just outlining their incomplete teaching on the passage. The whole situation was utterly disastrous at the beginning, but it ended well for Bathsheba at least. This has always been an element of the Scriptures that has fascinated me. It’s all Israel, Israel, Israel, but you have some pretty significant examples of people like these four women, and even some of the actions of the prophets that expand the view beyond Israel. It sometimes leads me to wonder if the nation of Israel was meant to mean more than just who descended from who. It was about a choice of who you were consciously identifying with and willing to follow. Tamar sought to be a part of that line even if it meant going to extreme measures. Rahab helped the Israelites against her own city. The text says how everyone was in a panic in Jericho for they had heard what God had done to Egypt, but only Rahab took that and wanted to identify with God and the people he had chosen. Ruth exhibits a similar trend by saying that Naomi’s God and people would be her God and her people. You then have Jesus who really drives the idea like this home by saying in John 8:31-47 that just because you’ve descended from Abraham doesn’t mean you’re acting like Abraham acted or that you’re children of God. What we call ourselves isn’t what is important, it is how we act and respond to God that is of utmost importance. These women did that, and it made quite the difference. Great analysis, Jeremy. God has always said that he is the God of all nations, and that all nations would be blessed through the work he does in his people. Jesus was born less than 9 months after Joseph and Mary married and this is one of the scandals that Jesus had applied to him. My take is Matthew is pre-empting a reader’s possible claim that God does not work through things that at least appear to involve sin and not just any sin, but sexual sin. He is also pre-empting a claim that gentiles are not a key part of God’s plan. I think one of the subtexts of the book of Ruth is: who will claim that David was an invalid king of Israel? This is actually a puzzle. How can David be a valid king of Israel, assuming the story in Ruth is true? All the clues are in the story. P.S. According to Torah, God-fearing gentiles were to be allowed to present a sacrifice at the altar in the temple, so they should certainly be allowed in the temple. The so-called Court of the Gentiles in the 2nd temple (beyond which no gentile was to go upon threat of death) was a human tradition that violated Torah. I was thinking about the ability of gentiles to join God’s people too, Don. God made provision for them in the law of Moses, and they are in the promise given to Abraham back in Genesis. Good posting, an eye opener! The child born of illicit activity died. The subsequent children (of which Solomon was the first -or first male?) was no doubt conceived after a ‘lawful’ marriage. We see no evidence to the contrary. Those four points are characterizing the way I’ve heard others teach it. 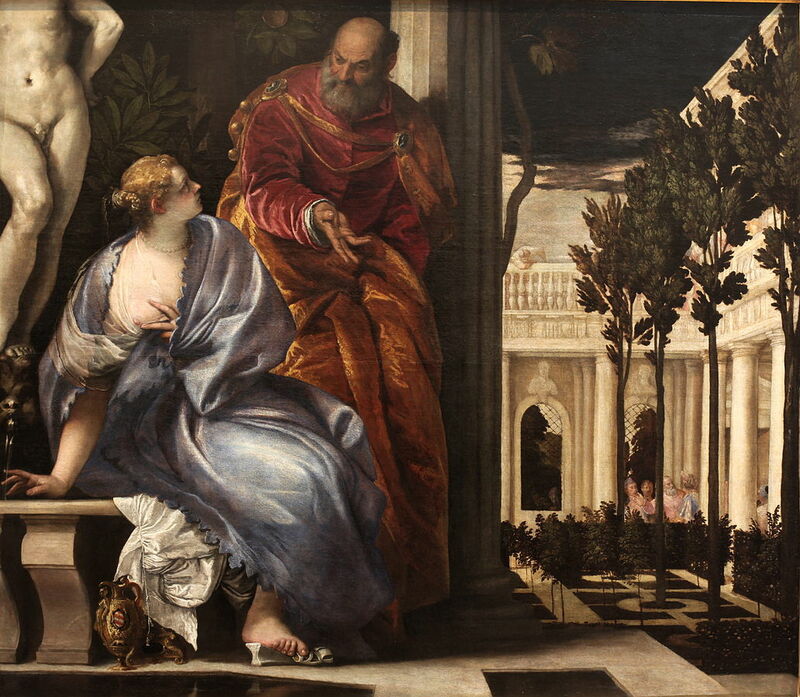 I think what they mean regarding Bathsheba and David – though I’m not sure – is the relationship was immoral in the sense that it was tainted from the beginning. Thank you much, V V.
This is a great post, Tim — another great reminder of how God uses the unlikeliest to carry out his plan. Based on what I know about myself before I became a believer, I’d have put myself among the unlikeliest to ever join God’s family.